I definitely love the Lunar Reconnaissance Orbiter. 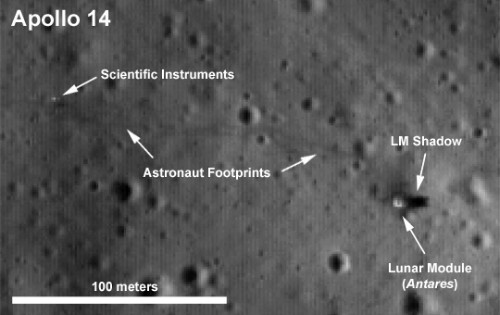 Even though it hasn’t achieved its final mapping orbit (which will result in images with two to three times greater resolution than at present), it’s managed to photograph five out of the six Apollo landing sites. I can’t wait to see what it’ll catch when it’s operating at full resolution; I’m already impressed. Via Bad Astronomy.